The first time that I started to hear a book instead of reading it was with the material from Anthony Robbins. I was immediately amazed how much faster I could get valuable information for personal development into my head. At first the pace at which I could consume a whole new book increased, since most of the speakers are faster than you could read. The second and even more interesting thing was that I could get valuable knowledge wherever I was: whether I was in the car or in the underground or even walking on the streets, jogging or at home: I could consume a new book within 1-3 days without any trouble. If you take time to process the new material, say one week per audio-book, this translates into 4-5 full books a month and 52 books a year. So audio-learning is one of the best methods to get new high-quality knowledge. This guide will introduce you into the world of audio learning and will give you some starting points on how to do it right and where to find the best material. The goal of learning is of course getting better and happier (s. The Dalai Lama’s Guide to Happiness, where learning and training the mind is a first step). With so many opportunities out there the critical move is not to commit to life-long learning any longer, it is one step further. It is choosing the best material available. The best method to choose the best material is getting educated in your field yourself . Then you get to know the movers and shakers in the field and you can see what good knowledge is and what is only re-mastered or simply not good. Before that a good start is to read reviews and recommendations of audio-books on sources as online book stores or blogs etc. to get into the area. Do a little research first, it pays off. Then just select the best available and start. I also find it important to get the audio read by the original author and not by another person reading the book of the author. In that way you can get a feeling of the author and he is likely to pronounce and highlight certain areas of the material as intended. Additionally the material gets just more authentic this way. If you have to get an audio book from another narrator as the original author, try it first . iTunes and Amazon both offer samples. Basically you should have a mobile mp3-player of your choosing. I personally love to use my iPod nano (extremely small and handy) or iPhone (integrated with phone and all the other internet and contact geek stuff). It should be able to hold many different audio-books, organize them nicely, have an easy handling and make updating / syncing easy. Since I use an Apple product I can iTunes perfectly to organize, encode and sync audio-books onto my mobile player. The second way is of course to use speaker on a music equipment, but I personally prefer headphones even here, it is just better to concentrate on the material. If you are in a car, obviously this is not a good idea. 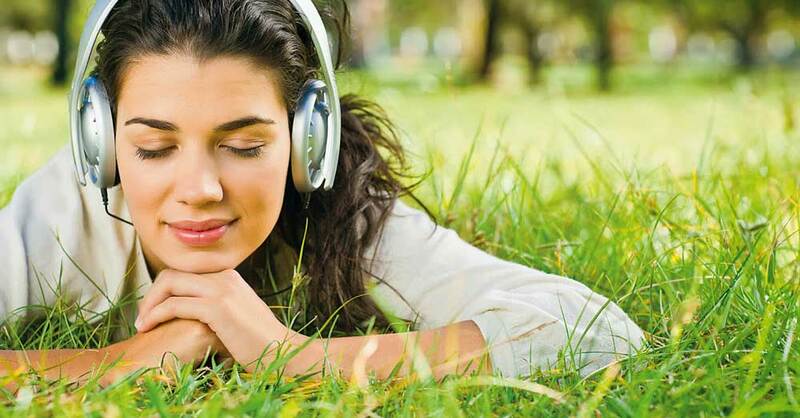 While you can hear audio-books wherever you go, it is most effective if you can put your attention fully to it. So if there are very important passages I like to consume them in a quiet and undisturbed place. A very good way to really get familiar with the content of the audio book is repeating . The first method is similar to turn pages back in a book and re-read them, by just winding back the audio player. This helps to get difficult content or deepen the message. Another great way of repeating is simply to hear the audio book again . Since it is so easy and fast, this is very valid. I made the experience that content that seemed difficult or just different from my current knowledge gets more familiar just by repeating it. Deepak Chopra said in his audio book “Creating Affluence”: “It is not necessary to make effort to practice the principles in this tape. Just here the tape and the knowledge gets metabolized into your life.”. Also it is very important to reflect on the material, especially the important passages. One of the best ways to do this is to write a review on the material. Amazon has a whole section on reviews, so it is very easy to put it there. If you are writing a blog, another great use for reviews is to put it into a posting for your readers. It did this with for instance with “The Power of Now” and “7 Habits of Highly Effective People” . Sometimes I use mind-mapping software to create a mind-map of the audio books structure and the specific learnings. SoundsTrue.com – publisher of audio books in Spirituality, i.e. Eckhart Tolle etc. NightingaleConant – publisher of Personal Development audio books, i.e. Tony Robbins, Brian Tracy, Deepak Chopra etc. I would love to hear which audio books you would like to suggest? Wow, this is on-point. I love how to did an audiobook/learning guide for your audience. I spent more time reading your blog, so I can learn from this to use on my own audiobook. I love audiobooks but have always been put off by the delivery systems used by the industry. That is, until I found ‘Audio Pod’. The simple access that you get using their Drag and Drop audiobook is just AMAZING! Automated bookmarks, illustrated editions, global WIFI access and email ready books are just not available anywhere else. Yes, I am a convert and expect to see the big players adopt these innovations. Think of it, audiobooks without media, downloads, file transfers or syncing; total management using drag and drop book covers. It is great. Thanks for the NY Times link debating the virtue of reading v.s. listening to books. As a former reading teacher I’m happy to see people connect with books no matter what the format. You’re so right about the tremendous value and learning opportunity of audiobooks. Before mp3 and iTunes were available and popular I rented books on tape of my favorite fiction writer–John Grisham–from one of those audiobook rental stores. When I realized, however, that each tape was only a small portion of the whole book I was bummed. I was totally through with this route when I discovered that the portion I needed to finish the book was already checked out to some truck driver who was out on the road. I find it more cost-effective to buy the audiobook on CD or more recently just to download it to my i-Pod. My favorite self-help audios are ones created by Deepak Chopra and Wayne Dyer, together and separate. To really absorb their concepts you have to listen to them many times, sohaving them handy when you have a long wait or a long flight is great. Thanks for this article reminding us of the power and convenience of audiobooks for lifelong learning.